I have a new favourite pattern! No, seriously – I love it to pieces! 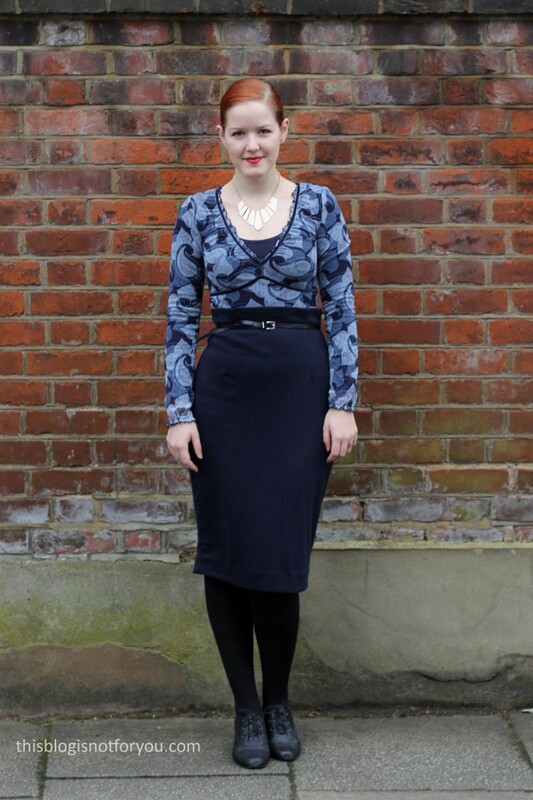 I was lucky to be asked by Lisa & Alex to test the new Sew Over It skirt pattern last autumn. Right now I’m totally into making skirts, is it’s easy, quick and the perfect piece to wear at work. 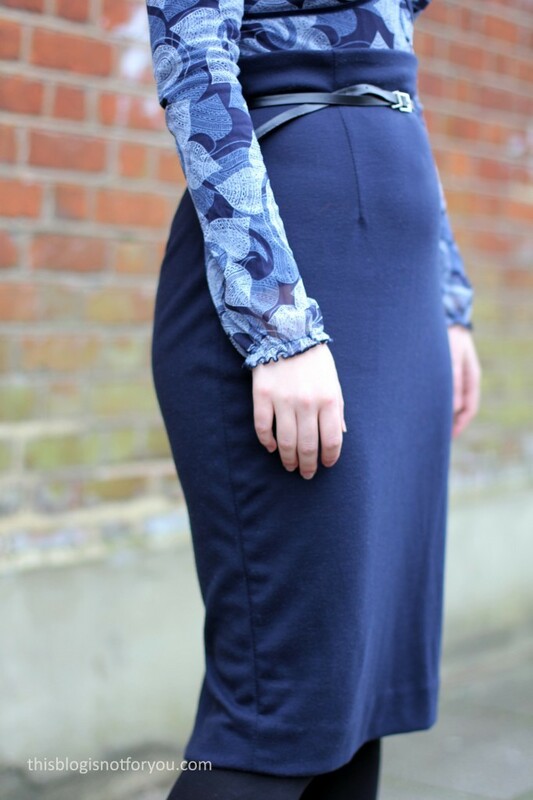 Skirt are much more versatile than trousers (I think) and you can never have enough in your wardrobe! Also, I am a big fan of the series Suits (Team Donna, anyone?) 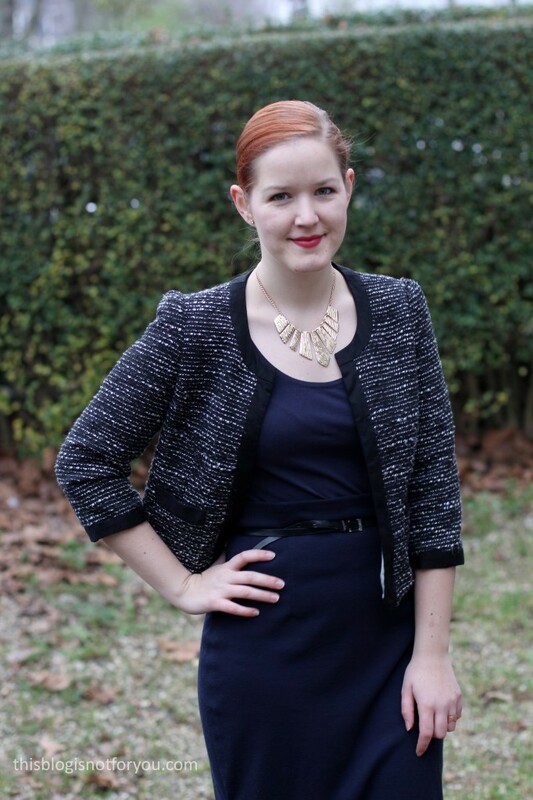 and I simply love the outfits of all the Suits-ladies. 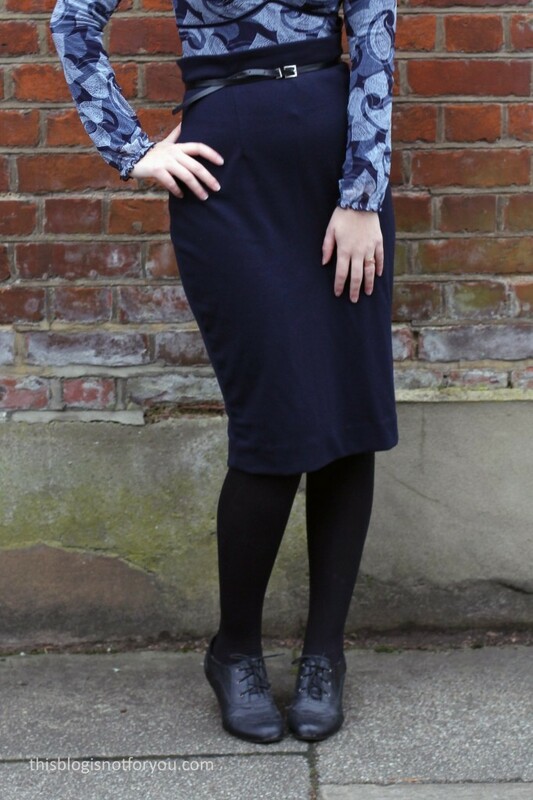 Rachel, a character from the show, wears the most gorgeous office clothes which usually consist of a pencil skirt and a blouse. I was thinking about recreating one of her skirts when Lisa asked me to test her pattern. 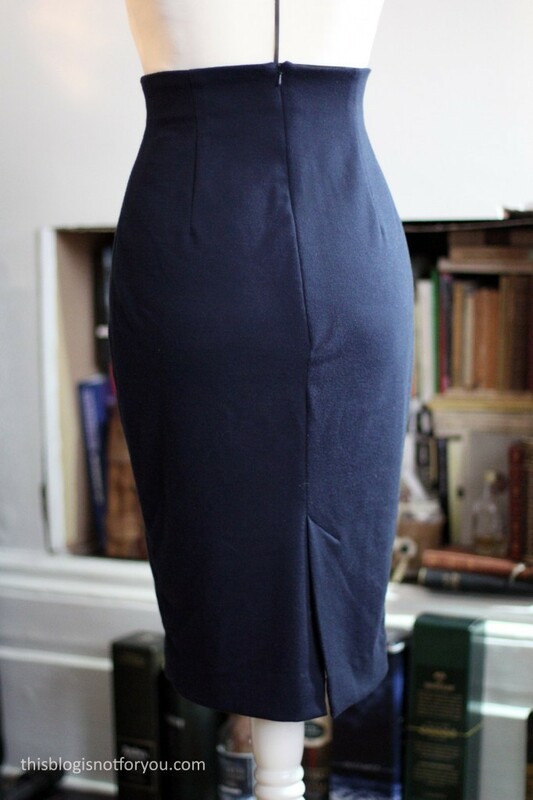 Initially I picked a gorgeous cream-white Karen Millen fabric from her shop, but then came across this beautiful navy Ponte Jersey at her shop/sewing cafe opening in Islington. 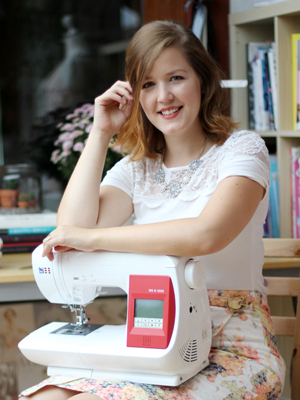 You seriously have to go and check out their new shop, it’s a sewist’s dream come true! The cream-white fabric is still on my pencil skirt sewing list, but I am looking for a fabric to match it with as a completely white skirt might not be very practical. Anyway, I decided to go for the Ponte instead, which made picking a size a bit more difficult. In the end I decided to trace the size I’d normally pick (so I wouldn’t have to trace it again when using wovens) and then fit the skirt once the pieces were cut out and basted together. 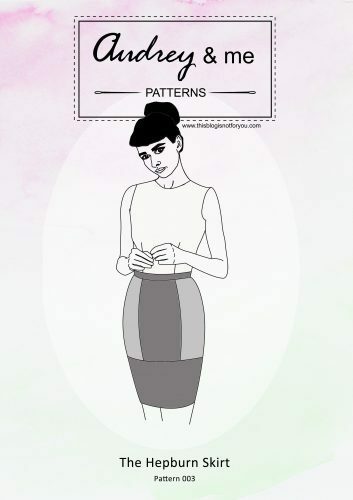 There are four pattern pieces – skirt front and back, and two pieces for the facing at the waist. 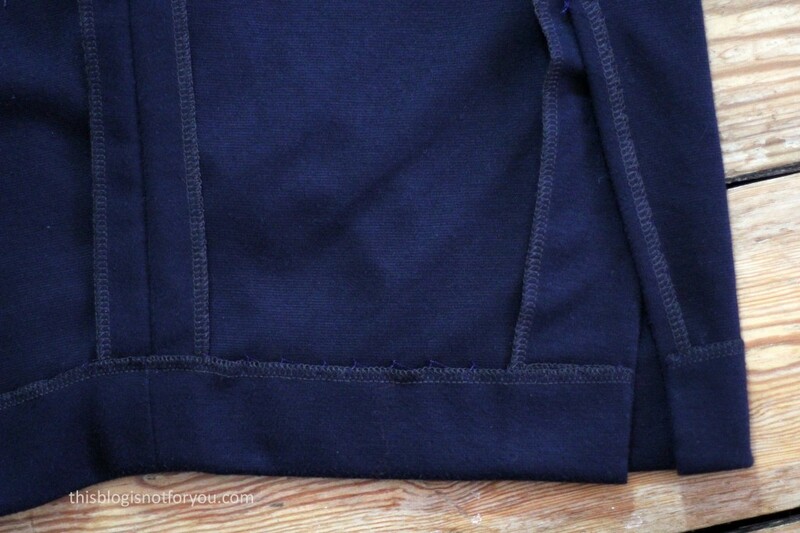 All you need is an invisible zip and some interfacing. The pattern was traced in a couple of minutes; cutting out the fabric didn’t take much time either. I overlocked all pieces before sewing everything together on my regular sewing machine using a narrow zigzag stitch and a stretch/jersey needle. 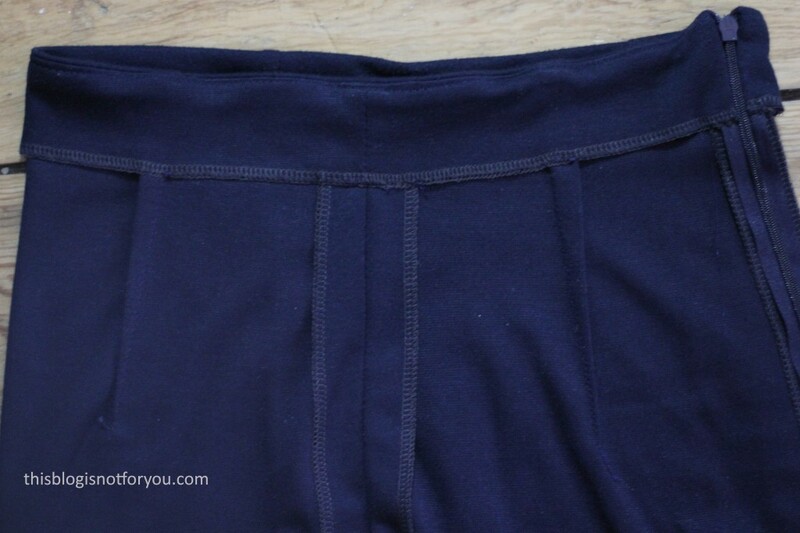 The facing is under-stitched and then sewn onto the side seams and darts to keep it in place. The hem requires some hand-sewing, but that didn’t take too long. The fit of the pattern is fabulous, I only had to take in the waist a bit as the fabric is quite stretchy. I could have taken it in a bit more; now after wearing it all the time the waist has stretched out a bit and could be a tad tighter. I keep it in place with a belt anyway. All in all, I’m a big fan of Sew Over It’s newest pattern. It’s perfect for beginners as well as more experienced sewers. It’s sold in a kit – so it comes with zip, thread, interfacing, gorgeous tartan fabric and instructions. Will I make it again? I already have! I made another one last week, this time using a striped woven wool. Lisa was so generous to send me one of the Skirt Kits last week, so you will definitely see another one in tartan soon! 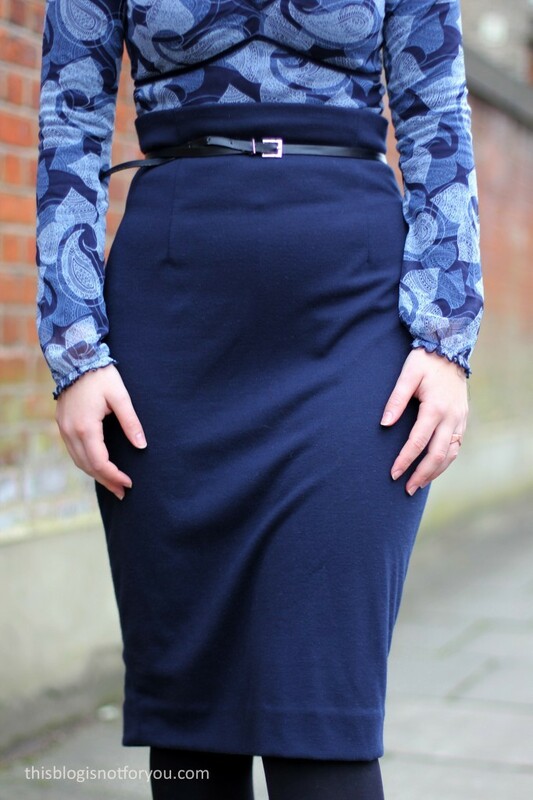 Looks great – a very flattering skirt! Really suits you and I especially like it with the Chanel jacket. Would it have worked without a zip? I doubt that it would work without. The skirt is super fitted, especially at the waist. 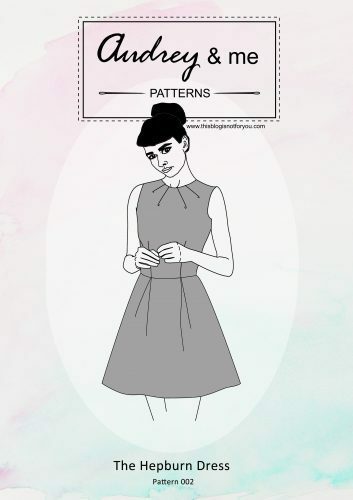 The pattern originally is for wovens, so you’d definitely need a zip unless you use a super stretchy lycra fabric maybe. That skirt looks fabulous on you. I love the high waistline in combination with the skinny belt, super flattering. You look so lovely in it. The skirt looks amazing on you. I really liked the patterned knit top too. If you made it will you tell us the pattern #.